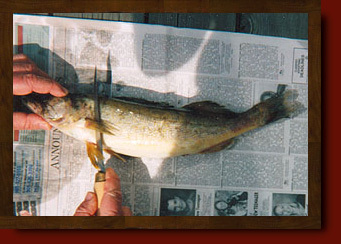 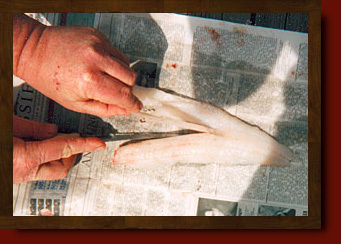 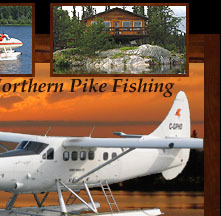 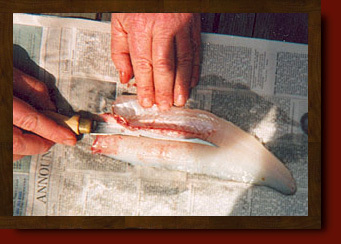 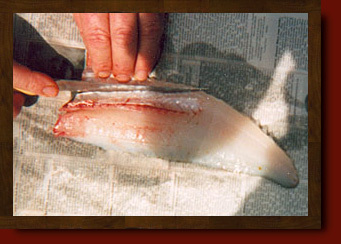 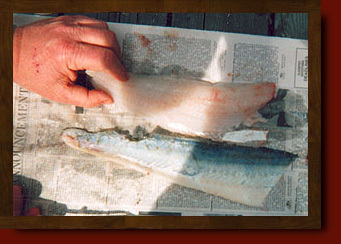 Our guides will be more than happy to show you how to clean a Walleye while preparing a delicious shore lunch. 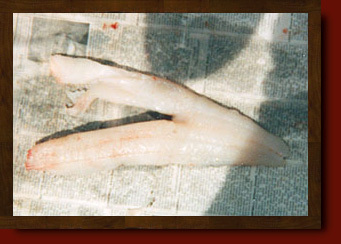 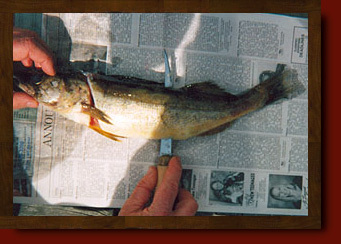 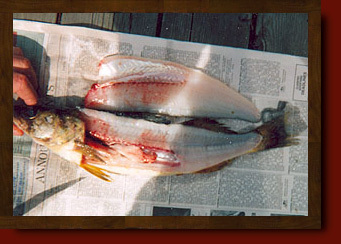 You can get started with the description below, which is just one way of cleaning Walleye. 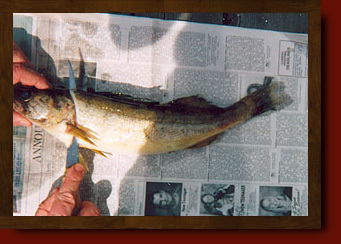 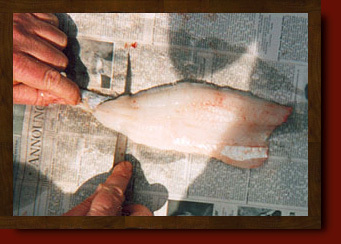 There are another ways to clean a Walleye. 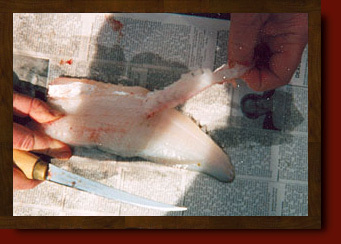 This is the fastest but because you cut through the rib cage, your knife does not stay sharp as long as with other methods that cut down around the rib cage.